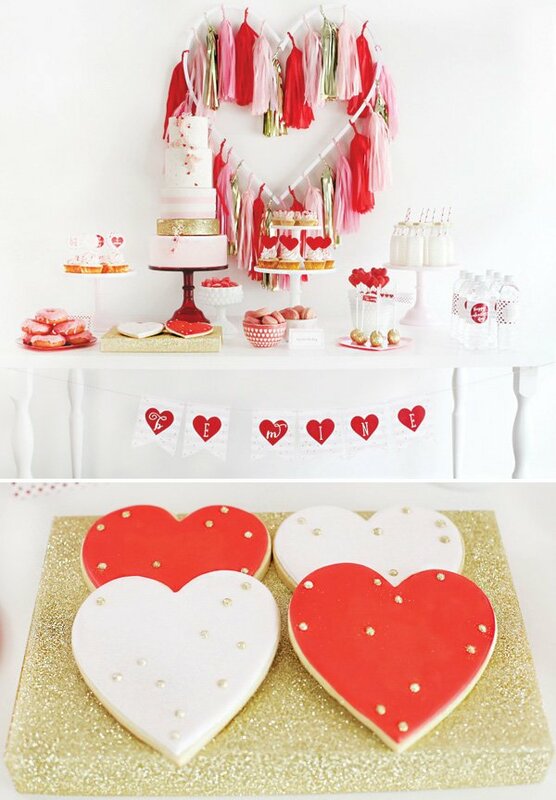 This oh-so-lovely Pink, Red & Gold Valentine’s Day Dessert Table by Paige Kepner of Paiges of Style is guaranteed to have sweet tooths of all ages swooning! 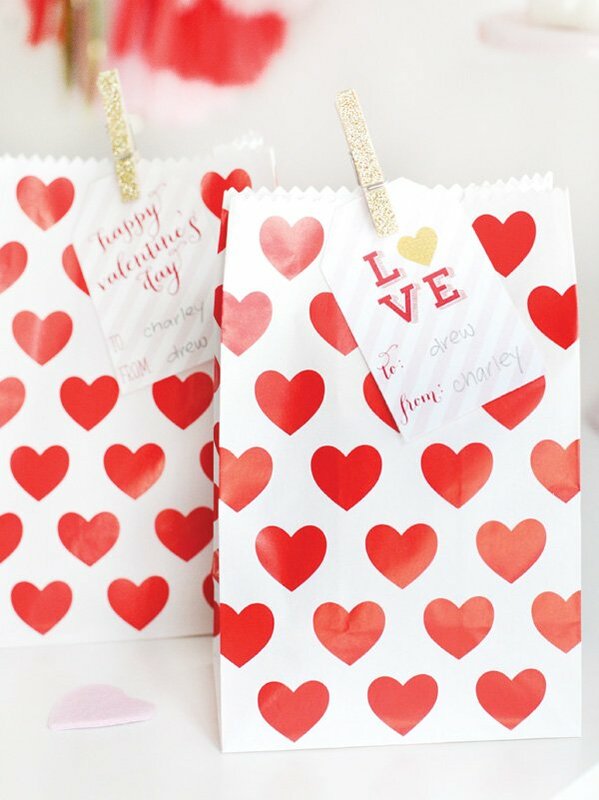 I’m especially loving the show stopping tissue-tassel heart, sparkling gold glitter accents, and adorable mini heart shaped cookies displayed on top of the milk bottles (super creative and easy to replicate). 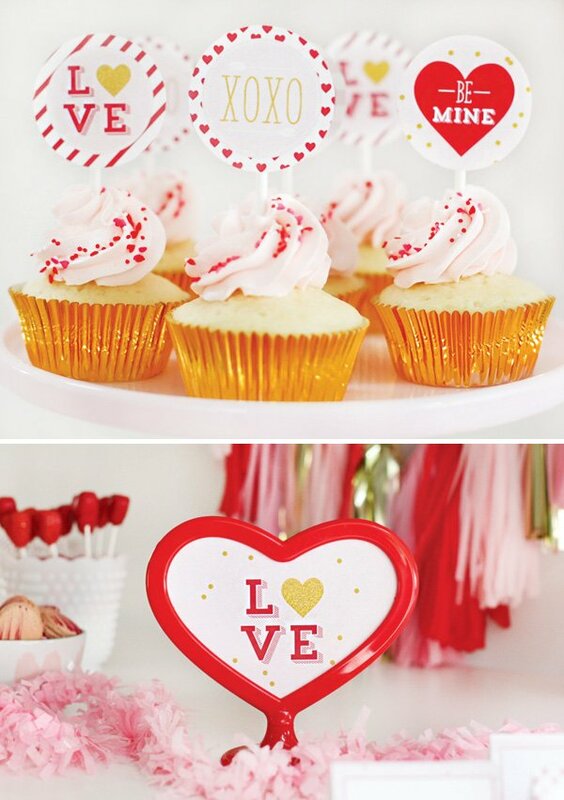 With a few verbiage tweaks, this would also make for a fabulous love themed bridal shower! 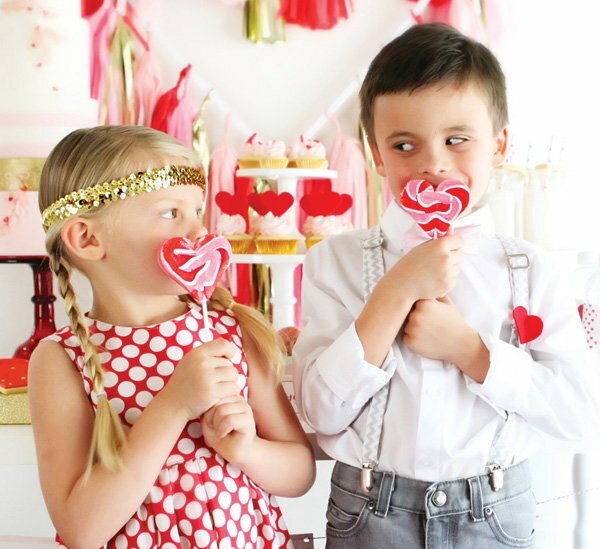 Be mine, Valentine! 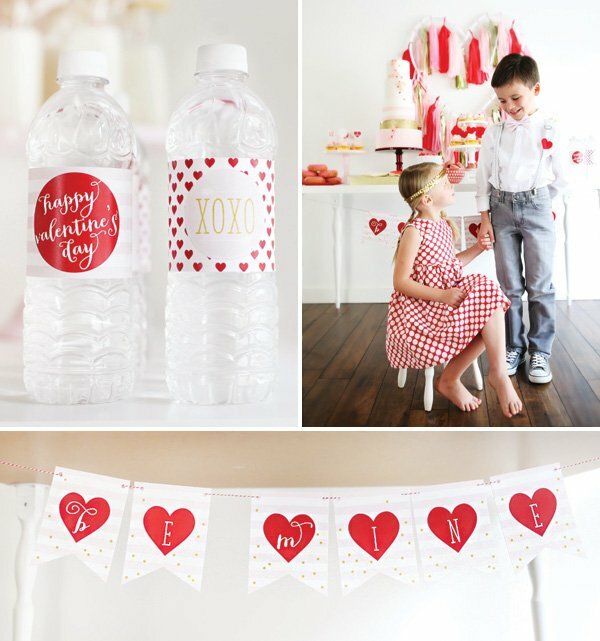 For this Valentine’s shoot, I dreamt of bright red, pale pink and shimmery gold popping off a crisp white background with lots of SUGAR! 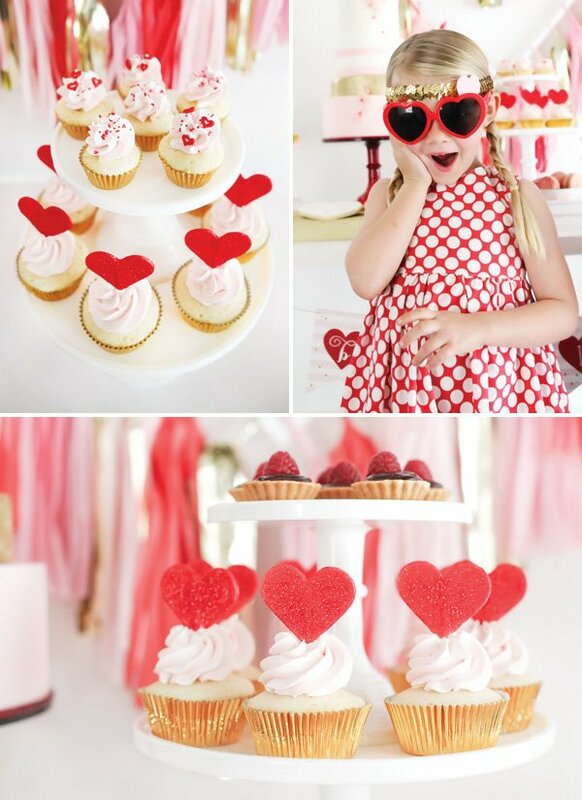 The star of the dessert table was a giant heart dripping in beautiful tissue tassels from Paper Chain Press. 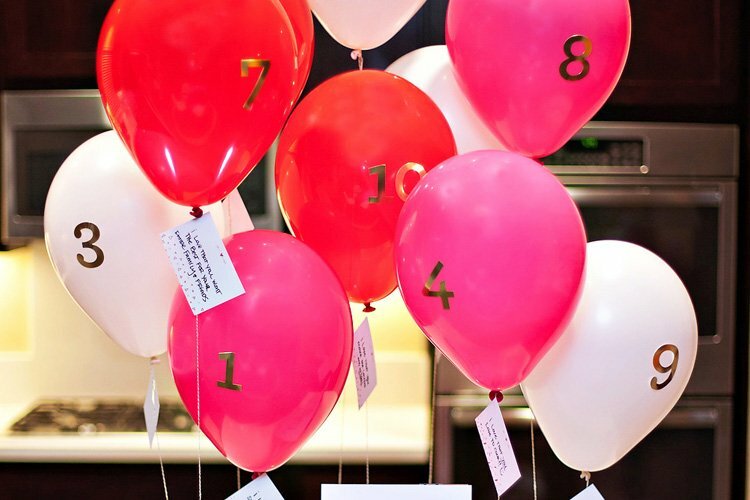 This was truly a show stopper! 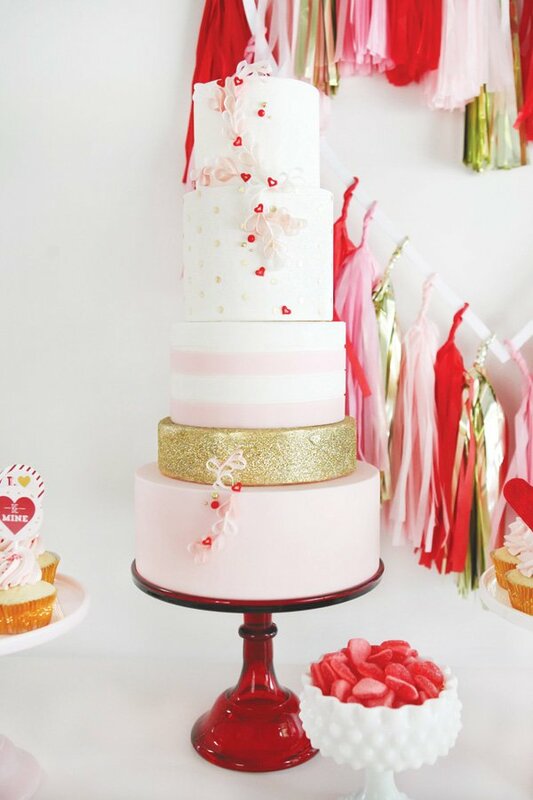 The gorgeous cake and cupcakes from Hey There, Cupcake! 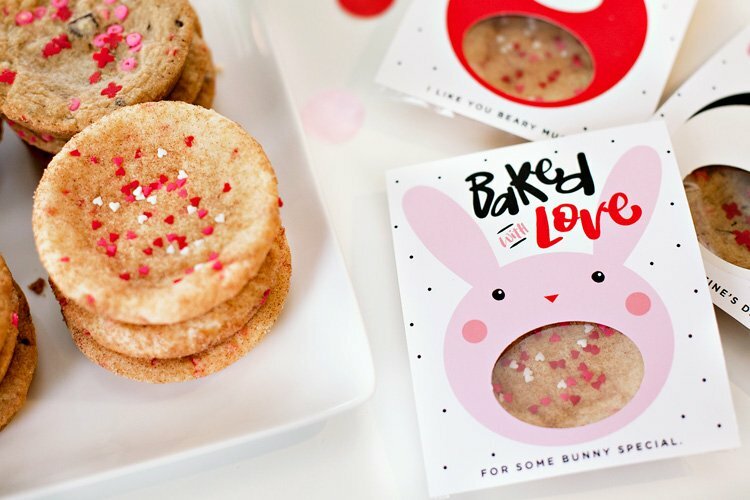 were as beautiful as they were delicious. 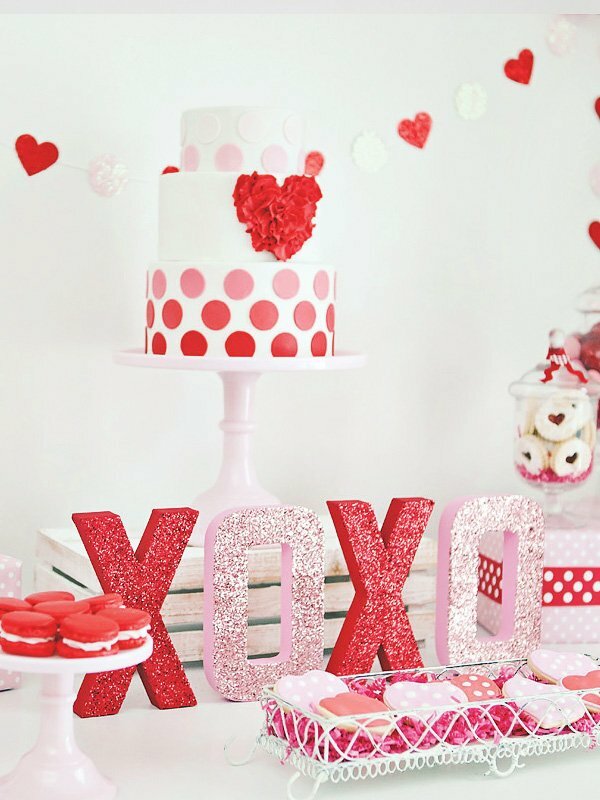 The detail of the wafer paper hearts on the cake was unbelievable. 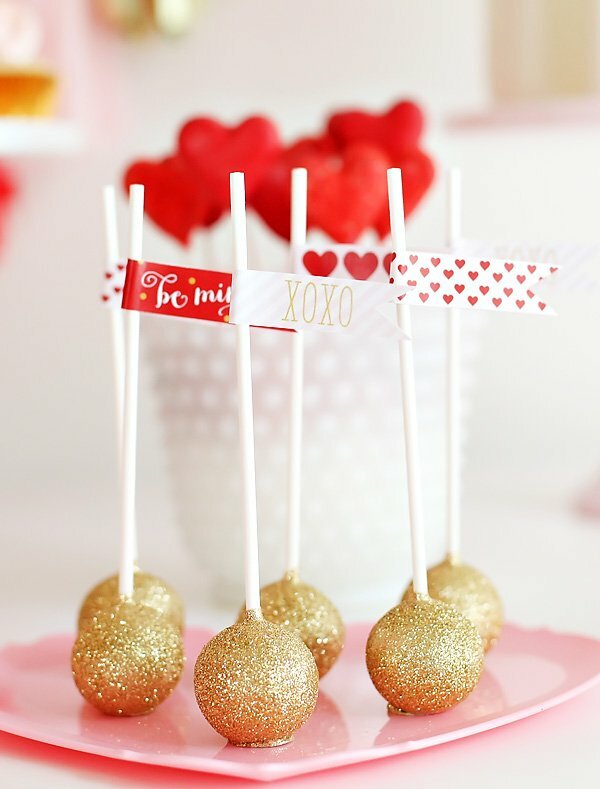 Gorgeous glittery gold cake pops and red heart cake pops were the kids’ favorites. 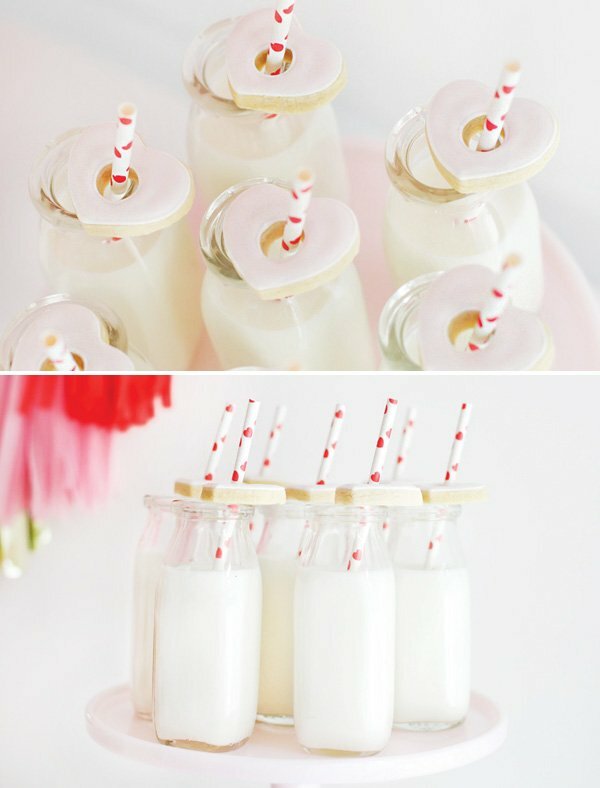 Pink cookies resting on top of each milk bottle as well as the huge heart cookies were so simple and stunning. 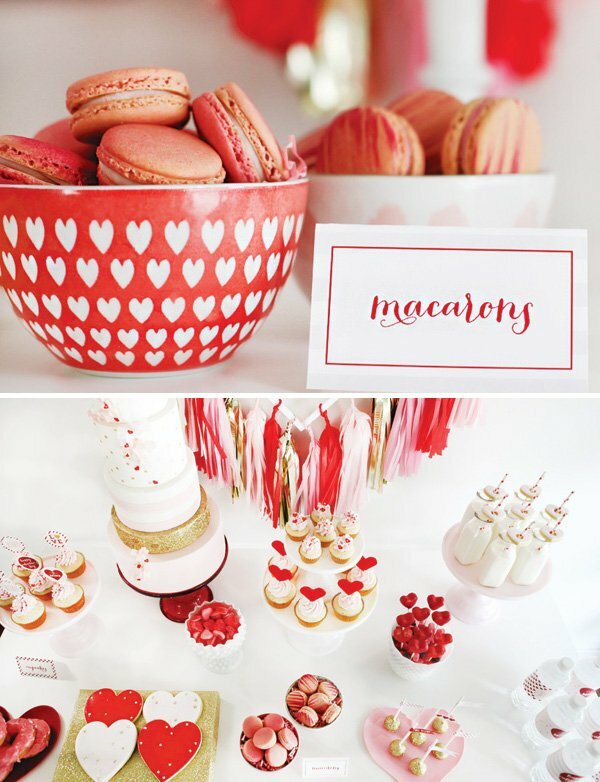 Other grocery store desserts included donuts and macarons from my local Whole Foods. 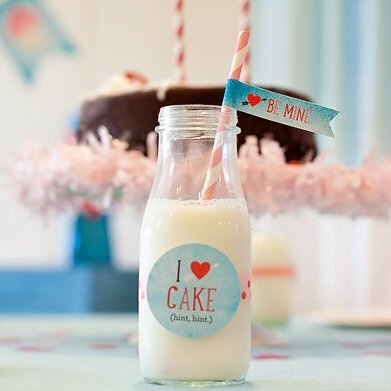 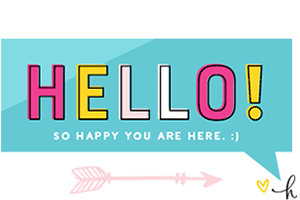 The paper goods accompanying the gorgeous desserts include cupcake decorations, invitation, a banner and labels for water, favor tags and much more. 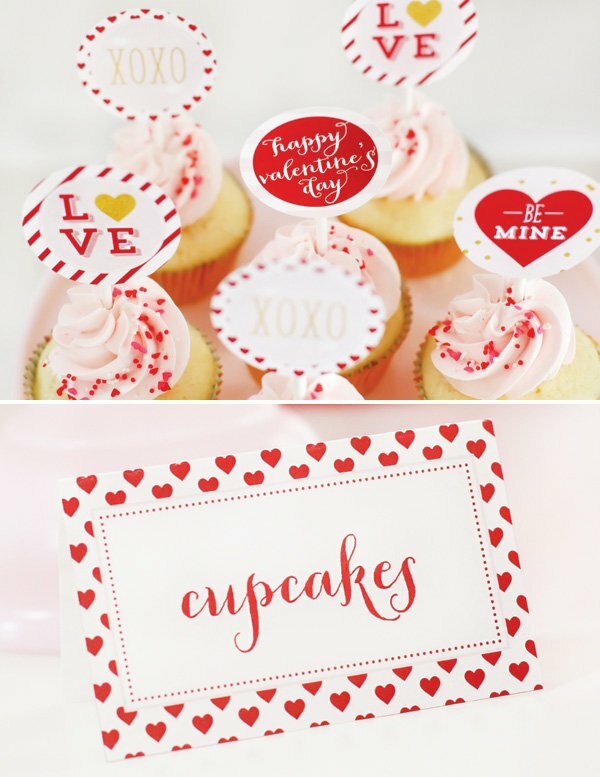 The glittery cake pops are my favorite! 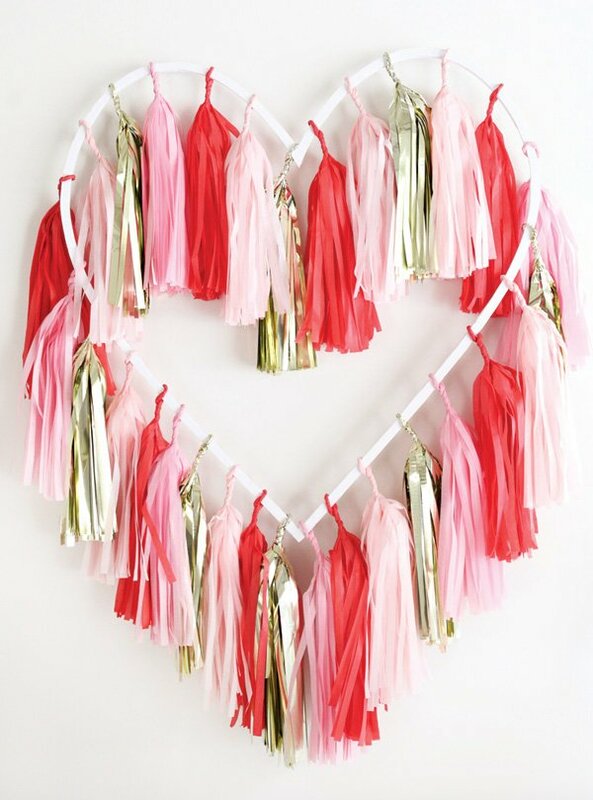 That tassel heart is just brilliant.